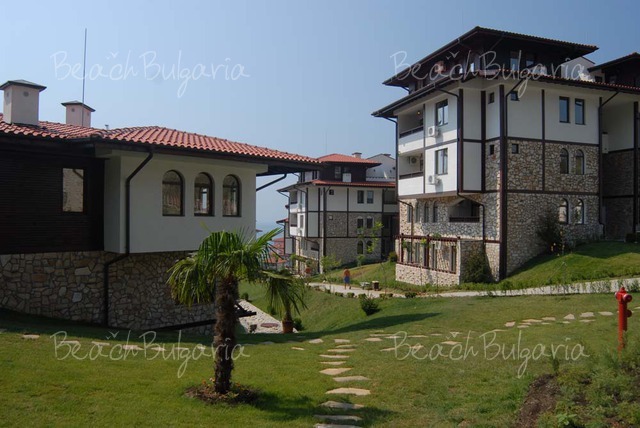 Location: Etara Hotel is situated 200 m from the sandy beach, 500 m from Dinevi marina area and the yacht port, 900 m from the centre of Sveti Vlas resort. 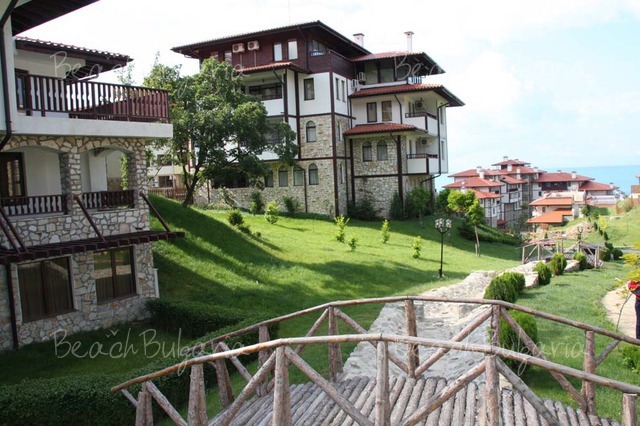 Etara Hotel complex consists of 3 buildings forming an inner area full of greenery. 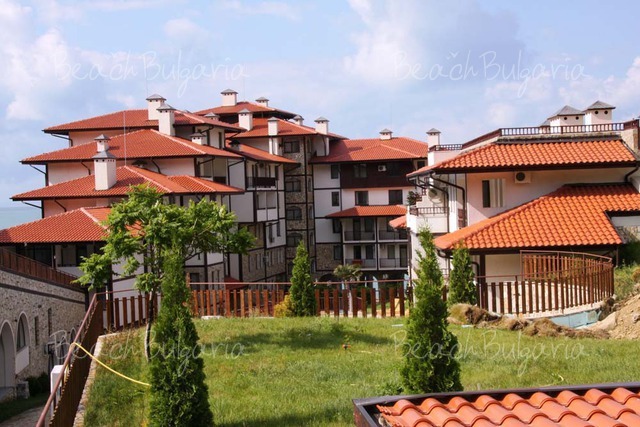 The complex is built in the architectural style of the old Bulgarian houses with wide terraces, protruding roofs, narrow windows, wooden gates and staircases. Accommodation: The complex features 206 apartments and 6 family houses. The apartments consist of a living room and a bedroom (for 2-4 persons) or a living room and two bedrooms (for 4-6 persons). 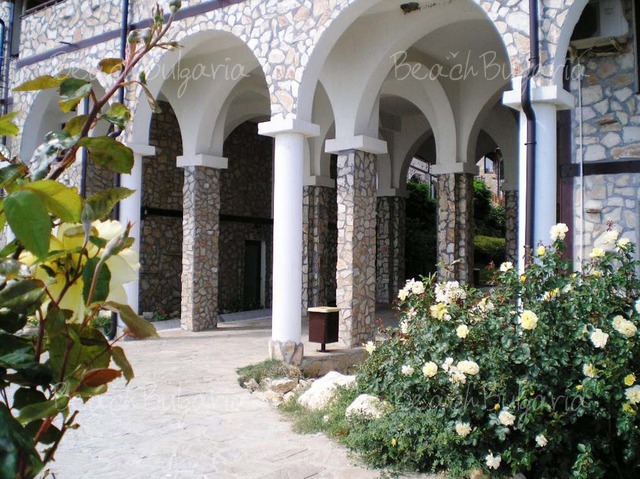 The apartments feature air conditioning and heating, bathroom with a shower or bathtub, safe, balcony, fully equipped kitchenette with fridge, extractor hood, a cooking stove, tea and coffee making facilities, dishware, cups and glasses. The bedrooms are with twin beds or a king-size bed. The large living room is with a fold-up sofa, dining area, armchairs and cable TV. Some of the apartments feature DVD-player and microwave. Entertainment: 2 swimming pools with children's sections, parasols and sunbeds, massages, fitness centre, banana boating, windsurfing, sailing, motor boating. 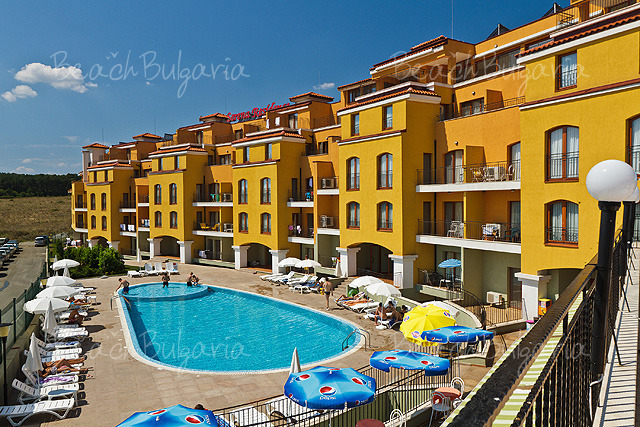 * Maximum capacity: 1-bedroom apartment: 4 adults; 2-bedroom apartment - 6 adults. 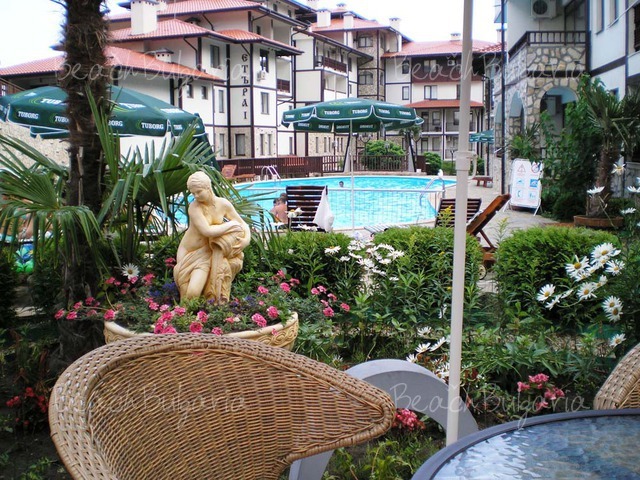 Please, post a comment on Etara 1 Hotel.